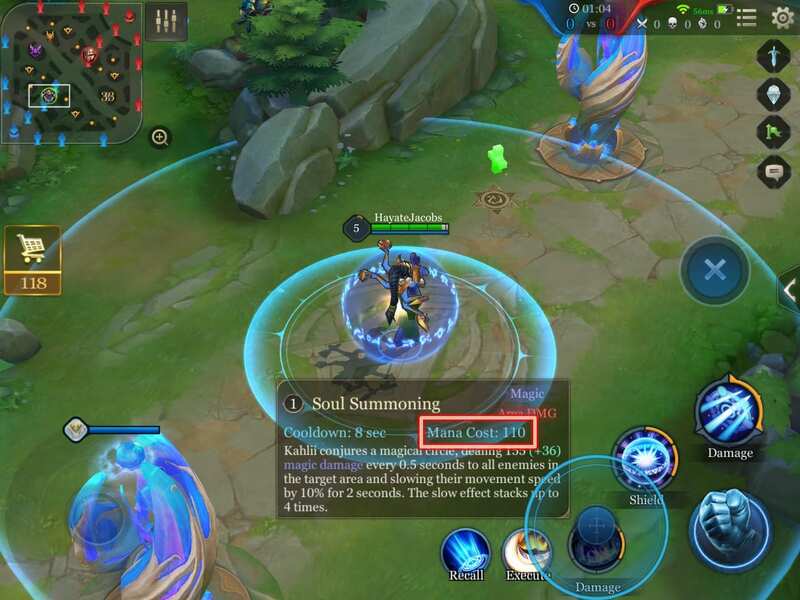 A guide to mana in Arena of Valor and a description of heroes that consume mana, heroes that don't consume mana, and those that consume energy. 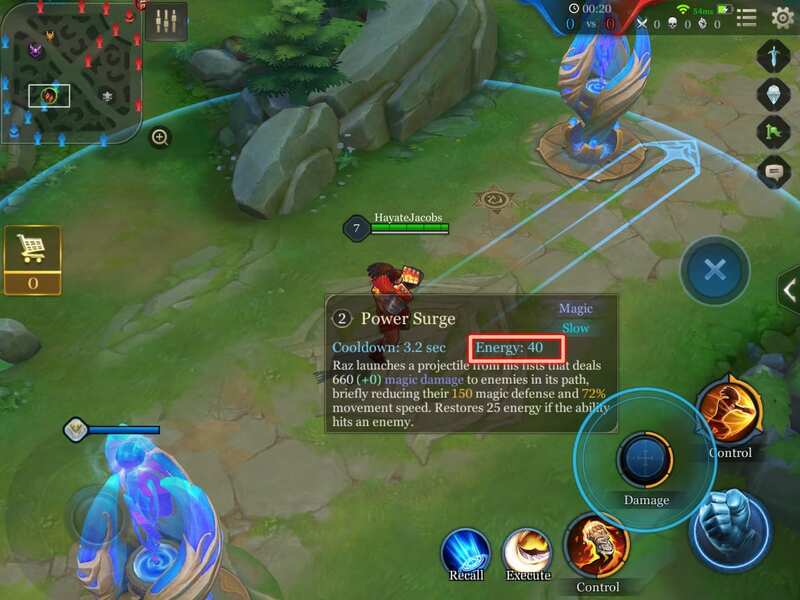 Most heroes in Arena of Valor require mana whenever they use an ability. Others don’t require any mana when using abilities, either relying on energy or able to use their abilities for free. The amount of mana a hero has available is displayed below the HP bar. Heroes that consume mana become close to useless when they run out. 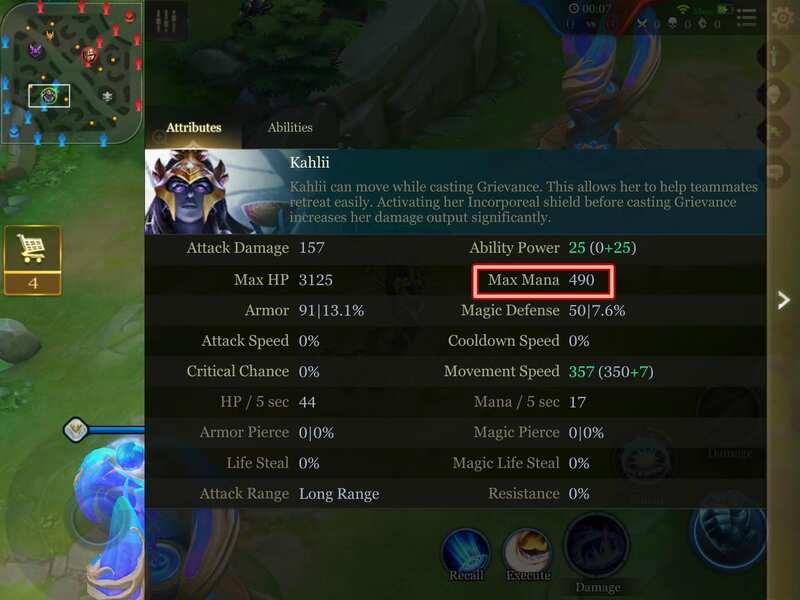 Heroes such as Kahlii, Thane, and Yorn consume mana whenever they use abilities. 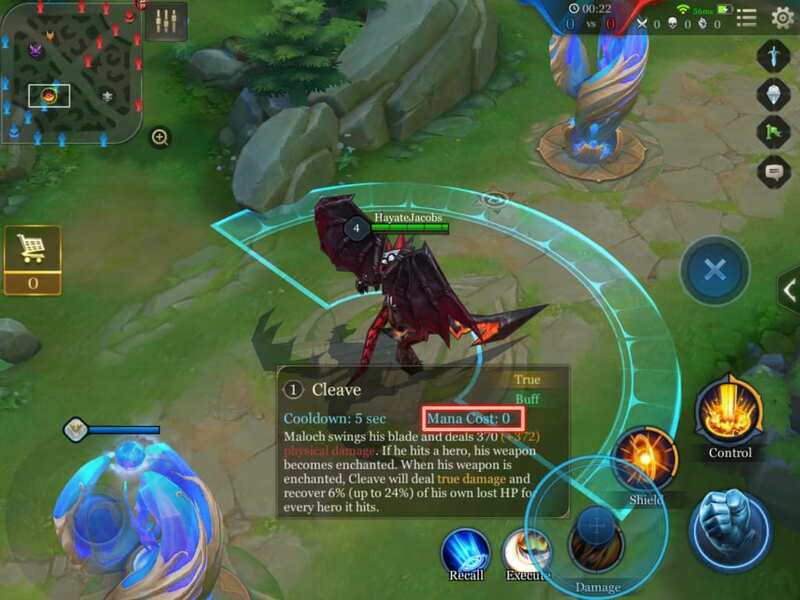 Most heroes in Arena of Valor are like this and depend on mana to deal damage or use abilities. 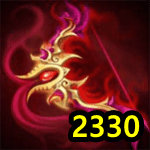 The max amount of mana a hero starts with can be checked on their attributes page. 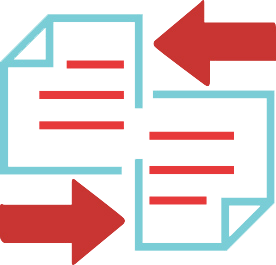 Each ability has a separate mana cost, which can also be checked before obtaining the ability. These heroes won’t be able to use their abilities whenever they run out of mana. This can occur frequently, especially during the early game. Since mages have weak normal attacks, they usually have to use their abilities against minions and therefore will not have enough mana for their ultimate by the time they reach level 4. To prevent this, mages should stay with another hero when protecting the lane or obtain the Sage Buff by killing the Sage Golem. Heroes such as Maloch, Arthur, and Taara don’t consume any mana when using abilities. Most of these heroes belong to the warrior and tank classes and won’t have the blue mana bar below their HP bar. 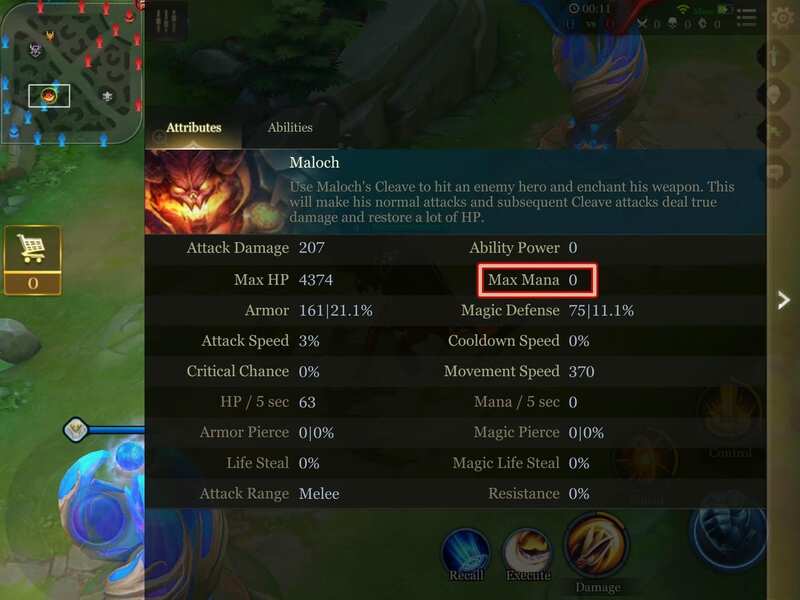 Since the mana cost of their abilities is 0, their max mana is also 0. These heroes can use their abilities as much as they like, but abilities will still need time to cool down, so it’s better not to spam them unless necessary. 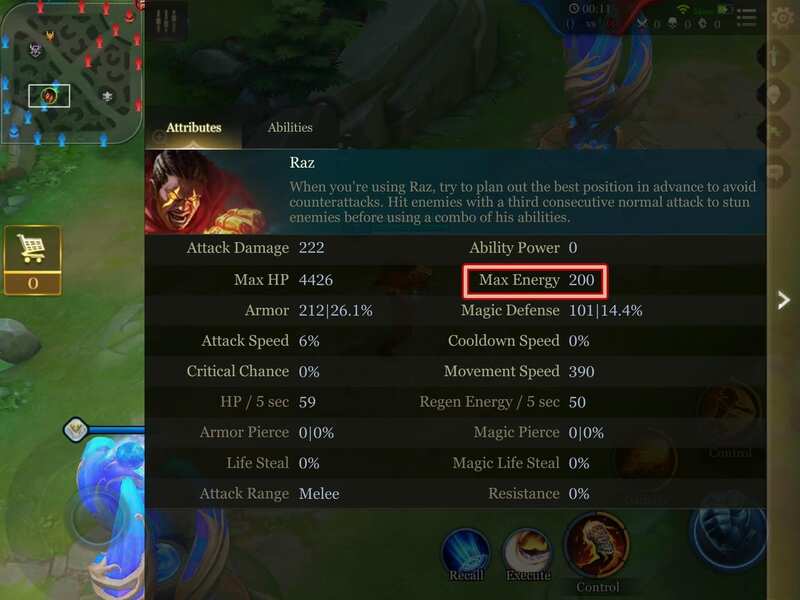 At present, Raz is the only hero that consumes energy when using an ability. He will not have a mana bar below his HP bar, but instead have a white-colored energy bar. Max energy is fixed at 200. Using an ability will consume Energy, and it will regenerate after time as well as when the ability hits an enemy. Because of this, aiming the ability well is very important.